Thanks for visiting the new Language Landscape blog! If this is your first time on Language Landscape, this is a good place to learn a bit more about the project and how you can get involved. You can also find more information about how to use the site on our Help page. 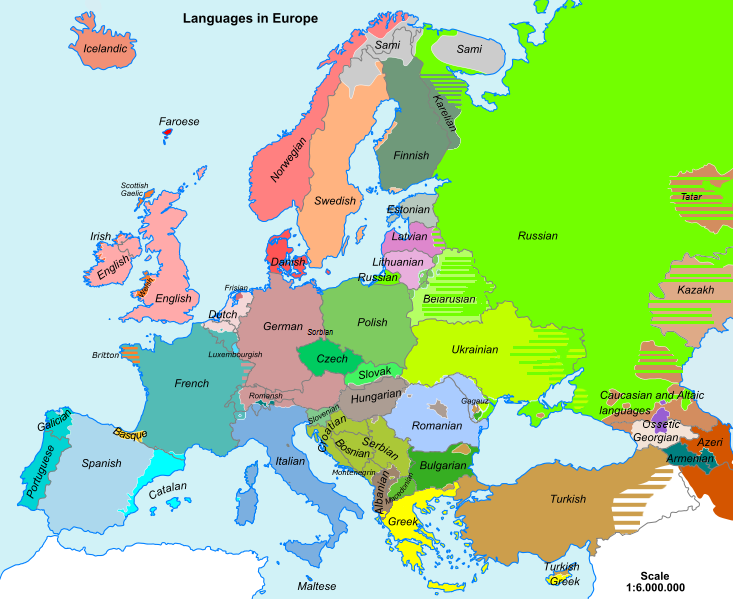 Language Landscape is a language map with a couple of differences. What we do is encourage our users to add recordings of languages from all around the world and map them where they happened. By mapping languages in this way, we will create a new kind of language map which better represents where languages are really spoken around the world. By encouraging everyone everywhere to contribute to the map, we will represent a wider variety of people, cultures and languages on the web, helping to make it a little bit wider and more worldly. You can contribute to the map by adding audio and video recordings of the languages you and the people around you speak. Your language isn’t on the map? Make a recording and be the first person to represent it on Language Landscape! No recordings in your country? Make a recording and show the world how you speak at home! Your voice is a unique feature of the global language landscape: map it where you are now and contribute to a better picture of our ever-changing world. We are a team of volunteers and developers based in London, United Kingdom. As well as developing the website, our other main activity is to set up and run outreach projects with schools and community groups around London. Through these projects we raise awareness of language issues and encourage greater participation in our mapping project. We hope to expand the scope and reach of our outreach projects to other parts of the UK and the rest of the world in future. If you’re interested in starting a Language Landscape project in your community or local area, please get in touch with us, we’d love to help you make your idea a reality! We’re pleased to announce the first public release of our website (1.0), the development of which was kindly supported by Google Earth Outreach. It’s been over a year in the making but we hope you’ll agree it was worth the wait! The rest of this post is designed as a brief guide to some of the major new features of the website. We won’t cover all the new features in this post so keep checking back over the coming weeks for more detailed walkthroughs and guides. We’ve simplified the process of adding and editing recordings on the website by implementing an easy-to-use Add Recording form. Once you’ve added your recording to the map you can also go back and edit the information, add a photo, and so on. There is also an option to add existing recordings from YouTube, meaning you can contribute to the map using content already on the web. You can now sign up for a Language Landscape account by going to the Sign Up page. Once you’ve activated your account you can start adding and editing recordings straight away. Every recording you add to the map has its own page with a link to your profile page. This page includes a personalised map of all your recordings and you can customise it with a photo and description. You can group together recordings on Language Landscape as a project. Project pages are now fully customisable, with options to add a description and video about your project. You can also change the look and feel of your project map using the Google Styled Maps Wizard and add a custom map marker to give your project its own distinctive style. Have a look at the World Oral Literature Project page for an idea of what you could do with your own project. We’ve added some Advanced search options so you can perform more complex queries on the database. For example, you might want to search for more than one language and compare recordings of those languages. Just add each language you want to see and compare the results using our custom visualisation tool. You can also search across different types of metadata, for example if you want to see recordings of a language spoken by men over 50 in a certain country. Just fill in the relevant fields and select Match all to see recordings which match all your criteria, or unselect it to see recordings which match any of your criteria. Not everyone adds recordings of their own language to Language Landscape, so sometimes they need help to interpret what is being said in their recordings. By clicking Other people can edit this recording when you add your recording, this means that other registered users can help to improve your recording by adding descriptions, transcriptions and translations. If you find a recording in your language which doesn’t have much information associated with it, you can help everyone to understand the recording better by adding this information. We’ve implemented a system for moderating new recordings on the site. This means when you add a new recording it won’t appear on the map until we’ve had a chance to check it and make sure it’s legitimate Language Landscape material! We hope you enjoy the new features on the website. If you have any questions or comments we’d love to hear from you. All our contact details can be found here. We look forward to hearing your voice on Language Landscape soon! This entry was posted in Uncategorized on 7 February, 2014 by Sandy Ritchie.